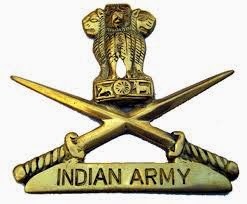 Indian Army Recruitment 2015 Application Form for 437 Havildar Posts; Further Details Regarding Age Limit, Educational Qualification, Physical Test, General Information, Eligibility Conditions, Pay Scale, Selection Procedure, Syllabus and Scheme of Examination, Examination Center, Examination Fee, How to Apply, Important Dates, Online or Offline Application, Official Notification for Indian Army Recruitment 2014 is given below. Pay Scale : Pay Band-1 (Rs 5200-20200) as per 6th Pay Commission. You will also be entitled to Grade Pay (Rs Pay (Rs 2000) + Group ‘X’ Pay (Rs 1400) per month. Candidates are required to submit their Application Form duly filled along with all required documents as per the format duly superscribed “APPLICATION FOR HAVILDAR EDUCATION” on the top outer cover of the envelope to the Headquarters Recruiting Zone.